Thank you to the family and everyone involved in making this possible. I can now connect anywhere and everywhere. Can't wait for more apps! I can connect anytime, anywhere. This app has most, if not all, the book contents. I love: * the landscape feature, which magnifies the letters and makes it easier to scan * the info button on each page, which links you to the write-up. Great for first-time users and those who want to review and get a fresh perspective * the all Aramaic pages, which helps me focus on the scanning not on the explanations * the arrows that bring me to the previous or next prayer without going back to the Contents * the well-presented Contents page which facilitates going directly to the prayer you need Love and Light! Glad I found this. I tend to misplace the book but my iPod Touch is always with me. I'm sure it's going to get a lot of use. It's also done very well, simple but effective and somewhat aesthetically pleasing. It does not support the iPad screen and i bought it thinking on my iPad. The book is amazing, more than 5 stars... But since it was not designed for iPad i rated it 3 stars. It was advertised for both iPhone and iPad when i bought it. Puts kabbalistic technology at your finger tips where you need it. This is my favorite book to connect any time any place. I have the app on my iPhone and IPad and the information is always available. The Technology in Dialing God is first rate. It is my "go to" Quick reference and connection. An amazing and practical application that places the essential daily meditative tools at your finger tips. I love and appreciate the clear display of the "Ashurit" font type, that clearly enhance the connections. I highly recommend this application!!! I am a kabbalah follower and love this idea for apps, but, i use other reading apps on my iphone and was expecting a similar expierience. I paid $5 for something i cannot use ; please update format or update to include pinch and zoom. Thought it would have an audio feature. I'm looking for a virtual minyon to recite prayers with. Thought I had found it in this. Great app, I just wanted it to give voice to the prayers. Dialing God provides the spiritual technology for all desiring a greater connection with the Creator. Share the Light! A large number of prayers and meditations all within easy reach. My daily go-to app. Love it. So happy this finally came out and done so well too. Thanks!!! A great app. Please make the app scalable so that we can make it bigger for those of us that cannot see the small writings. Thank you! All the tools u need in one place. Thank's for the update. Best way to be connected! Thank you Michael now my iPhone is iKosher, super cool. 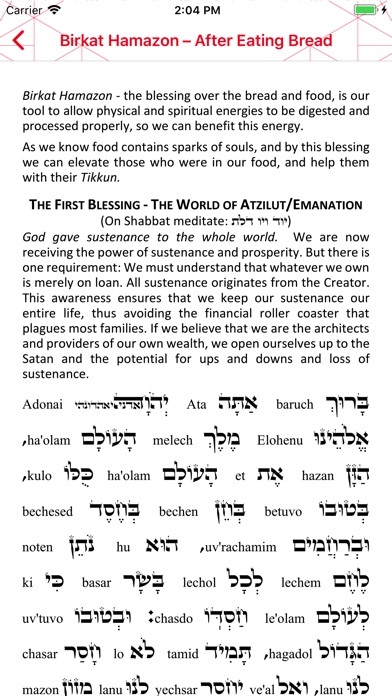 Amazing everything you need for daily Kabbalah use. All the tools of Kabbalah now available where ever you go. Amazing app. Great way to connect anytime anywhere. One thing-will there be an update to match the new book version??? "Amazing, Powerful, Easy to Use! 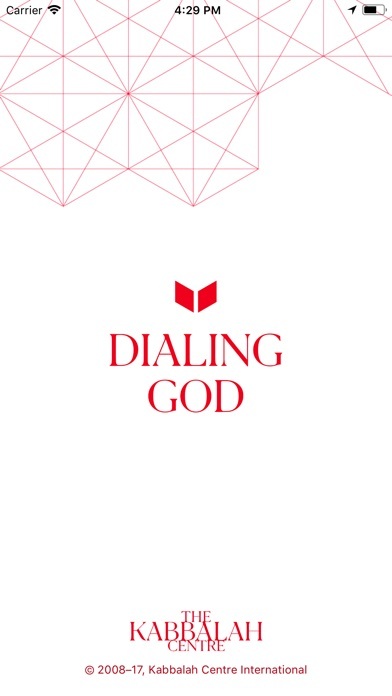 The Entire- "Dialing God Book" in your pocket/ on your Iphone! When I first began my study almost 5 years ago, the book Dialing God was given to by a friend who told me that every basic prayer and meditation was within it, and that no matter how long or how deeply I wanted to go into the study of Kabbalah, this would always be the basic foundation to which I would stay rooted. They were right. While there are days i will forget my siddur, i never forget my iPhone, and to have this app means the world to me. I hope it will to you as well. And for the record, I am Italian/ Irish Catholic. Awesome, the essential travel tool- "Don't leave home without it" Great to use on the plane or in the hotel anytime of day Highly reccomend to all Kabbalah students and others that are interested in staying connected to LIGHT! A wonderful and helpful addition to my iphone. 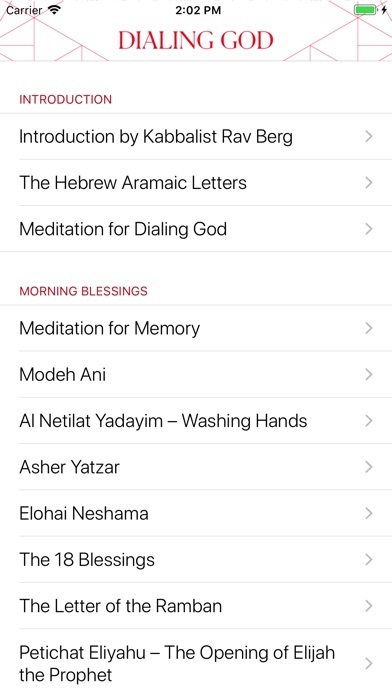 Dialing God goes above and beyond any other iphone prayer book/siddur app because not only does it give you the important daily prayers and meditations, but it explains the intention behind every prayer. Amazing to think about the fact that this app combines the world's oldest technology, with the newest! How amazing is it that we can now connect with these ageless tools wherever we are! 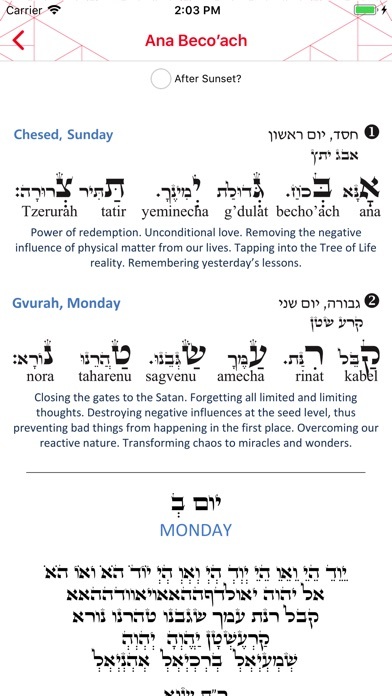 A must app for every Kabbalah student and everyone who wants to be connected with no limits! A must for a Student! Thanks for the update! I have been waiting for years for this update... now it’s so complete! Thaaanks! Love the new update. 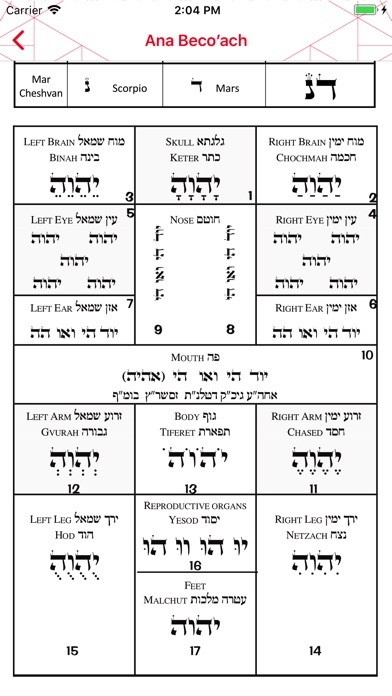 Also, it would be really cool to add an interactive function that would allow us to enter our own Hebrew name for the Elohai Neshama.